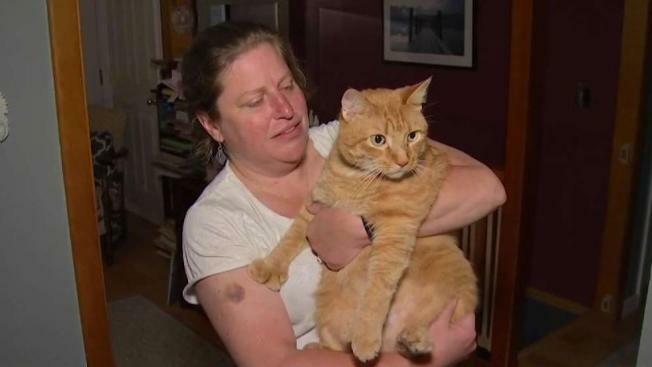 Tigger the tabby cat has been reunited with his owner, Rebecca Collins West of Dennis, Mass., after having been missing for seven years. MSPCA on Cape Cod rescued Tigger from a home in Mashpee after the owner was moved to a treatment center. MSPCA called Collins West after discovering Tigger's microchip that Collins West had implanted in Tigger when he was young.